If there's one thing that all Americans have in common, it's that we all live in a land that was fought for. In the recent event of my great-grandfather passing away, I was placed in front of the opportunity to visit a Veteran's Memorial cemetery. Growing up in what I never noticed to be much of a military family until this day, I often took for granted the WWII and Vietnam Veteran's hats, shirts, pins, POW flags and post-war memorabilia that are shown so proudly throughout my grandparents' and great-grandparents' houses. I never understood any of the terms that my grandparents would use when they spoke about war. I never understood the types of helicopters my grandfather flew in Vietnam. I never understood the weapons that my great-grandfather spoke of from WWII. I never fully understood the effort that was put into the respect of displaying the American flag properly. I always had plenty of questions about their experiences, but now it may be too late to ask. There was something about going to a military specific cemetery that touched me in a way that I believe every American citizen should experience at least once in their lives. 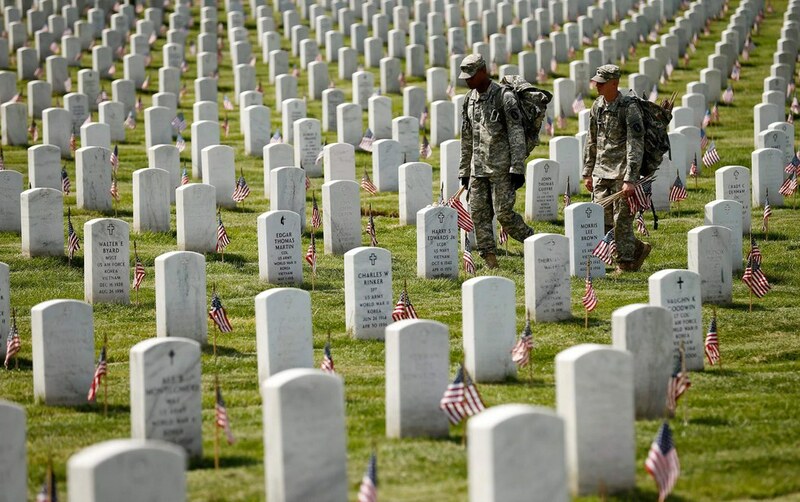 I don't truly believe that we understand the sacrifice that these men and women have made for our country until we are standing in front of rows and rows of graves of fallen soldiers. When the family car first pulled up to drive that was lined with American flags, I was overwhelmed with patriotism immediately. I felt like this was home. I felt like this place was where all members of my family were laid to rest. I felt like I knew all of these people. I felt the pain of everyone I came in contact with that day. Not only was I sad for my own biological family who was laying our own Veteran to rest, but I felt sorrow for the thousands of other families whose loved ones were laid beside him. Even if you're a person who doesn't have a personal connection to the military, every American has a connection to the freedoms they fought for. It's images like this one that take your breath away as you realize that each of those individual stones represents a soldier, a person, a father, mother, brother, sister, son, daughter, niece, nephew, grandson, granddaughter, grandmother, grandfather, neighbor, or friend. 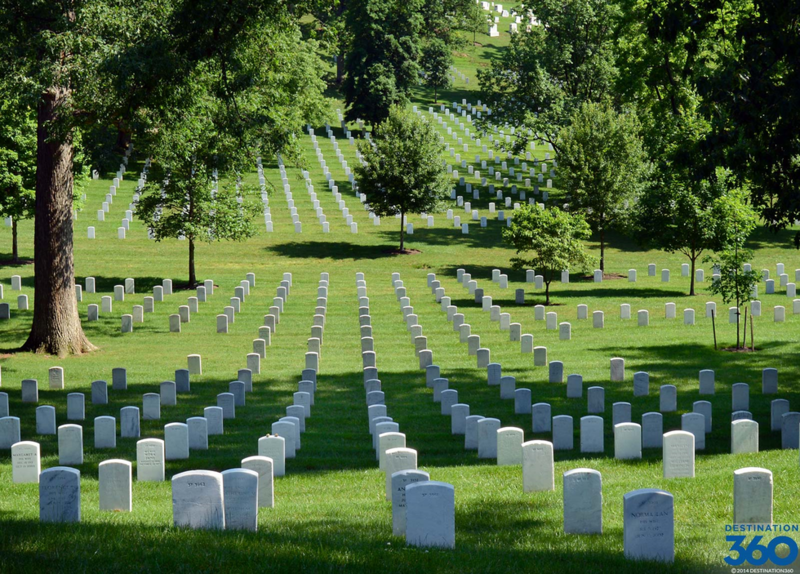 Each one of those stones represents an individual who fought for the ground that you're standing on today. Visiting a memorial cemetery not only gives you a sense of pride for your country, but a undying respect for the people who are laid to rest there and for the people who are still out there potentially making the greatest sacrifice. If not already on your bucket list, add it. If there's one thing that all Americans have in common, it's that we all live in a land that was fought for. To appreciate this sacrifice to the level it should be appreciated, this experience is necessary.